World Vegan Day is November 1st and what better time than now to learn about the day’s history and decide how you want to celebrate. Thus The Vegan Society was established as a charity in 1964 and later as a limited company in 1979. In 1994, The Vegan Society began celebrating November 1st as World Vegan Day which has progressed to them as World Vegan Month. 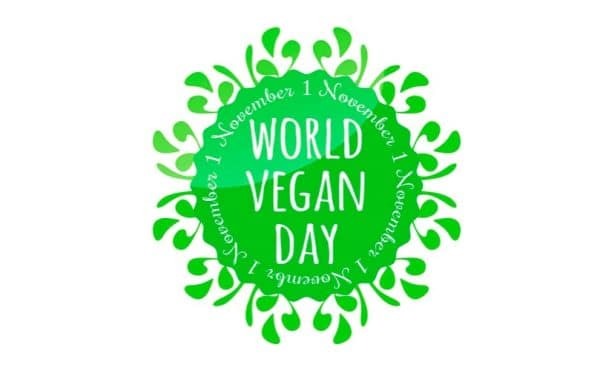 This day is meant to celebrate the vegan movement, how far veganism has spread and progressed and share ways to help others make the transition or experience veganism in a positive light. World Vegan Day gives us the opportunity to celebrate the collective efforts of those from the past and modern times to eliminate animal suffering. It’s a day we can use to reflect on why we’re vegan and how we choose to share that with the world. Celebrating World Vegan Day can be as personal as donating to a charity and getting yourself your favorite vegan takeout. Or it can be a more public celebration through a bake sale, leafletting, or a movie night. We’ve compiled a list of our favorite ways to celebrate World Vegan Day and hope you’ll find something on here that makes you feel both inspired and accomplished in your life. Seek out local health food stores or community centers to set up a table to hold a vegan bake sale. Try a few classic, crowd-pleasing favorites like chocolate chip cookies, brownies and rice crispy treats. Along with offering vegan treats, offer vegan literature for anyone interested. Leaflets can be printed or ordered from The Vegan Society here. Donate all profits to your favorite sanctuaries or animal welfare charities such as those listed above. Take time out of your week to volunteer at a local animal sanctuary or shelter. They are often short staffed and need help maintaining with tasks,. These include cleaning out stalls and living areas and feeding as well as administering medicine or simply staff to help with events. For animal sanctuaries, either check out a list here or simply google “animal sanctuaries near me”. Consider spreading information through leafletting or setting up a table at a college campus or in a public area with permits. Leaflets can be found through The Vegan Society or Vegan Outreach and Vegan Outreach shares how to effectively hand out information. Setting up a table can be as simple as a banner and multiple leaflets. 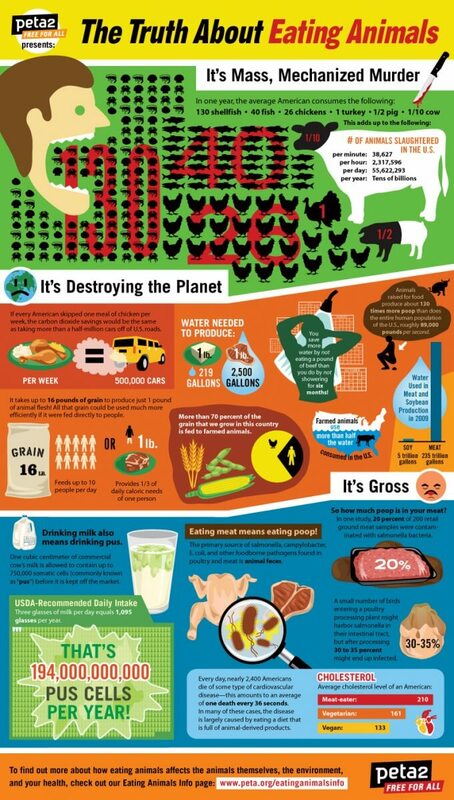 Or it can be more involved with blown up statistics or diagrams sharing how harmful factory farming is to the earth and the animals. If setting up a table, always consider bringing vegan treats, everyone loves free snacks! Organize a vegan potluck to help local vegans connect and celebrate their cruelty-free lifestyle! Seek out vegan restaurants, health food stores, or community centers to find a space that can be donated for the event. Hang flyers at those places as well as post on social media and share on local social media vegan groups as well as on sites like Craigslist. Contact vegan documentaries such as Earthlings, Cowspiracy, Dominion, or What the Health to organize a local screening. Community centers, health food stores, vegan restaurants or local indie theaters are great places to hold these events. Freshly made vegan popcorn or Earth Balance vegan popcorn is a must! If holding a public event isn’t possible, consider having friends or family over for your own mini party at home using Netflix. Be honest about the content and serve popcorn and vegan chocolate for extra incentive. Vegan baked goods always surprise and amaze people, so this is an easy way to celebrate veganism while also providing an opportunity to promote it. Bake your favorite vegan cookies (better yet, make them gluten-free so more people can enjoy them). Then take them to work to spread the love. If you’ve been considering adding a new family member, why not adopt a pet to celebrate your commitment to animals! Local shelters always have cats and dogs in need of loving homes and often have specials on adopting older pets. Adopting is a selfless act of compassion that gives back tenfold! We all have long wishlists of recipes to try but perhaps just haven’t set aside the time or don’t regularly like to splurge on new or more expensive items. Use World Vegan Day as an opportunity to treat yourself to a recipe you’ve been dying to try. Set aside time and funds and get your groceries prior to November 1st so you can enjoy making the recipe and devouring it, perhaps to your favorite music or while binge watching Netflix, we won’t judge! If you don’t somehow have a list of recipes saved somewhere to try, either search Pinterest or check out Minimalist Baker, Vegan Richa or Thug Kitchen. Whether you’ve been meaning to reread your favorite vegan book or have been dying to start reading a new one, set aside the time and space to enjoy reading some vegan literature. Better yet, ask a friend to start a vegan book club with you or join one online like on Facebook! Our Suggestion is Melanie Joy’s new book “Beyond Beliefs: A Guide to Improving Relationships and Communication for Vegans, Vegetarians, and Meat Eaters”. Support other vegans while sharing with the world what you care about. Companies have a range of compassionate clothing and accessories from tags such as “Be Kind.” To “#VeganAF” and “Humane Meat Does Not Exist.” Some pieces are provocative while others are subtle but no matter the message they can help to inspire others and spark curiosity and conversations. Share the love and support your local vegan businesses to thank them for what they do. 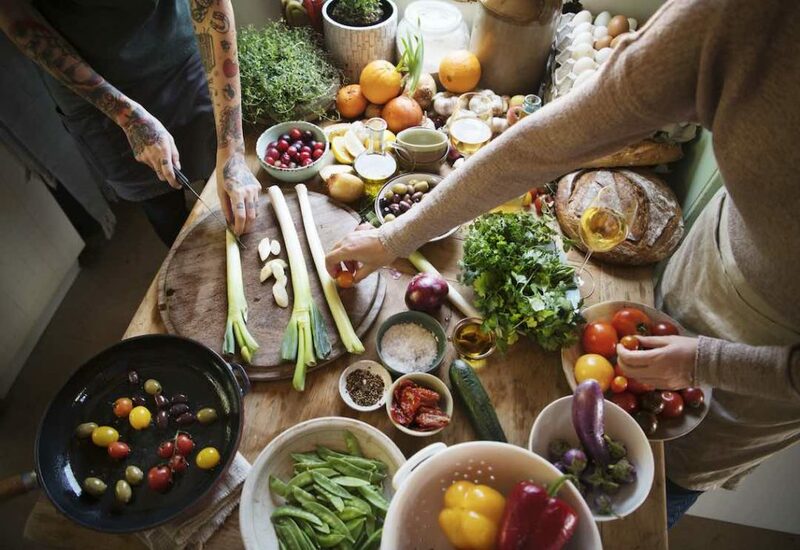 Vegan restaurants, delis, ice cream shops, bakeries, clothing stores and grocery stores all provide valuable services for their community and are a beacon of light for those of us living a plant-based lifestyle.